Your job description is changing. Are you changing to keep up with it? The role of the modern-day engineer is growing faster than ever. 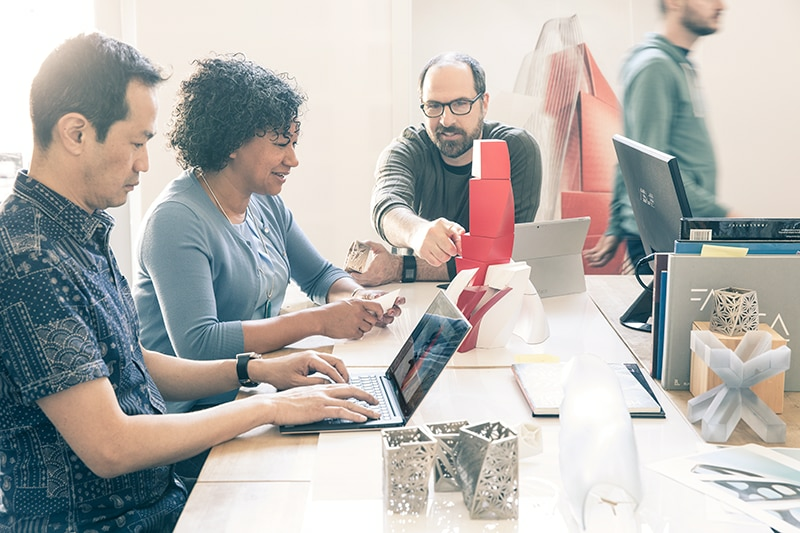 As technology, manufacturing, and workplace collaboration take new shape, we have to adapt with new engineering skills to stay at the top of our game. Engineers of the past focused mainly on the form, fit, and function of their design. This focus is still central in our daily workflows but the growth of technological capabilities has only made our job more complex. 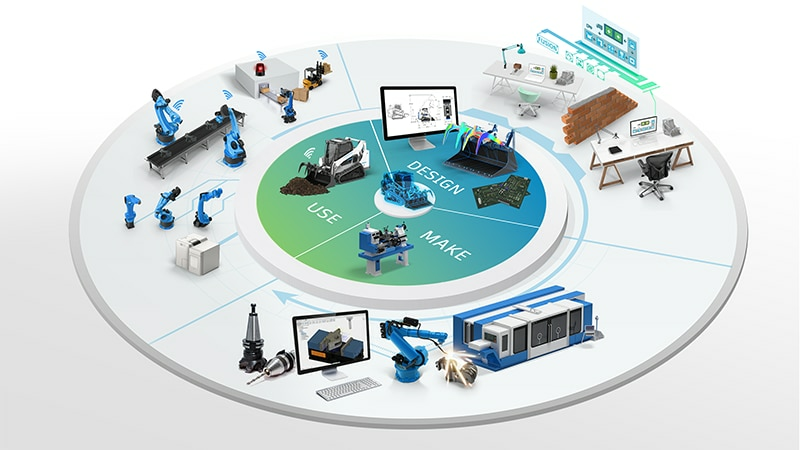 While the advent of CAD simplified the design process, its expanded growth into more markets means that the modern day engineer has to solve a lot of problems we never had to before. Engineering technology has demanded expanded versatility to the role of the engineer, but communications technology has also meant increased responsibility on our part. After we are initially given constraints for a product, increased feedback loops, while beneficial, insist that we maintain superior soft skills and iterative capabilities. In order to understand our expanded role as engineers, we have to understand the factors behind what is causing this workflow diversification. CAD programs aren’t what they used to be. Diverging from the solely design-centric programs of past, they are now workflow-centric tools that stick with us all the way through our project workflows. Today, we can use CAD software to follow products through not only the design and make phases of its lifecycle, but also its use phase. Apart from the software side of technological growth in engineering, we also have to manage the manufacturing innovation explosion that has come about in the last half decade. Additive manufacturing, 5-axis machining, and a variety of other manufacturing improvements have rocketed production capabilities in recent years. As engineers, when changes like this happen, it is our job to innovate and keep up with them. It is in this sense that our roles are expanding outward thanks to technology. Engineers of past lived in an era of slower technological expansion in respect to the engineering realm. The modern day outburst of design capabilities, even to the point of latticing and generative design, means that we constantly have to alter our workflows. The process of altering our workflow itself is even changing with technology as the cloud brings us into ever-connected design and grants us access to superior computing power. In the bigger picture, this technological growth will allow for significant innovations in our designs, but we can often lose this understanding in fear of extra work in the short term. It takes a particularly adept engineer to handle the constant workflow optimization that is required of the modern day technical worker. As we optimize what we can design, it also means that we have to take on many other aspects of a production process. Growing CAD/CAM capabilities mean that design engineers can and usually have to consider manufacturability. Cloud computing means that real-time design feedback can be given, so changes need to be made as fast as possible. These tasks that used to take transfer between departments are now optimized and thrown on one engineer. The engineer of today, thanks to technology, can and must now do the work of many engineers of just 15 years ago. 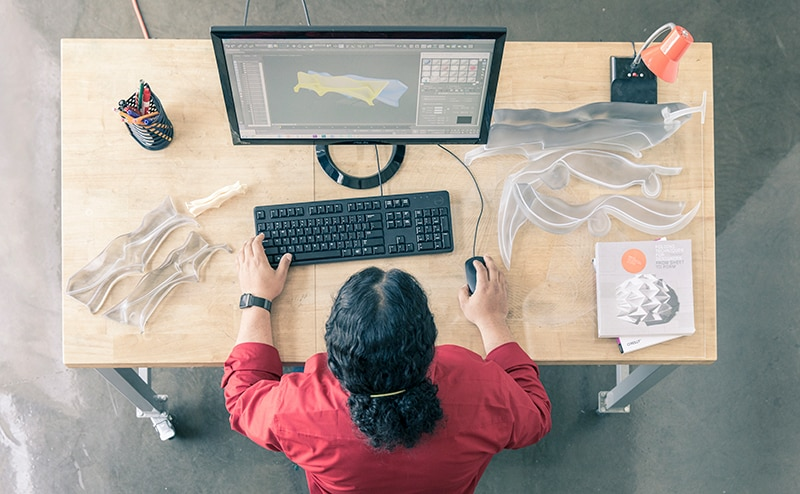 While CAD and computer technology rapidly expands our ability to design, evolving manufacturing techniques are changing the way we create. We’re not just talking about additive manufacturing either - advancements in nearly every manufacturing technique are bringing them closer to optimization. For instance, robots are a one key player in the technological growth of manufacturing. They’re not necessarily getting significantly better, but rather they are getting exponentially cheaper. Now, engineers have access to manufacturing robots when previous budgets never would’ve allowed. This can and will reinvent how we handle design for manufacturability in our workflow. Our expanding role includes staying on top of rising manufacturing capabilities. In order to stay at the top of our game and continue innovating, we have to understand the manufacturing processes available to us. Making things a certain way leads us into a variety of possible manufacturing techniques in the modern age – we now have options and we need to be well versed in how they work. The added implementation of communication tools in our design process has meant that feedback loops are growing ever too common to the modern engineer. Feedback loops are great when it comes to affecting the design positively, but they often mean a nightmare to the untrained engineer. With the growing capability of cloud-based CAD programs, engineer’s work is now often monitored or critiqued in real time. This opens up the door for collaboration and greater innovation, but it means that as engineers, we need to be able to communicate. This is where soft skills come into play. The old introverted engineering bit where we don’t know how to communicate will only work for so much longer. Engineers of the past had to deal with answering to stakeholders and clients, but communication was much more delayed then. Just with emails and data sharing capabilities, we simply don’t have as much time to make changes to our design before an update is requested. This new task, based on soft skills and flexibility, is a tall order depending on our personality. However, just like technical skills, you can learn to master communication skills, thus releasing some pressure on the technical end. This new communication technology in the design process can be seen as detrimental to our workflows, but if we understand how to use it in the right context, it can bolster our ability to engineer and communicate. The role of the engineer has expanded and will continue to expand. Our jobs will get diversified and optimized to allow us to engineer and design better. As we move forward on this continuum of engineering progression, there are steps that good engineers will take to facilitate their success. First, understanding and adopting technological advancements is critical for us to engineer the best possible products. We have to be aware of the capabilities that are available to us in order to fully reach our potential. Second, we must understand new manufacturing capabilities. Just like we have to know our design tools, we have to know new manufacturing tools. This way, we can design products that can leverage increasing manufacturing possibilities. Finally, engineers need to embrace the new avenues for streamlined communication opened by improved CAD programs. We also need to integrate the increasing ability to follow the product lifecycle into our workflow in order to design better products at every stage. Take advantage of the resources and insights that are increasingly available to us. By implementing a methodology of constant optimization in our workflow and not resisting change, we can benefit from growing technology. We have to lay aside our engineering pride when it comes to sticking with the way we have always done things and embrace new technologies that only allow us to design better. Welcome our expanding role and use it to your advantage.